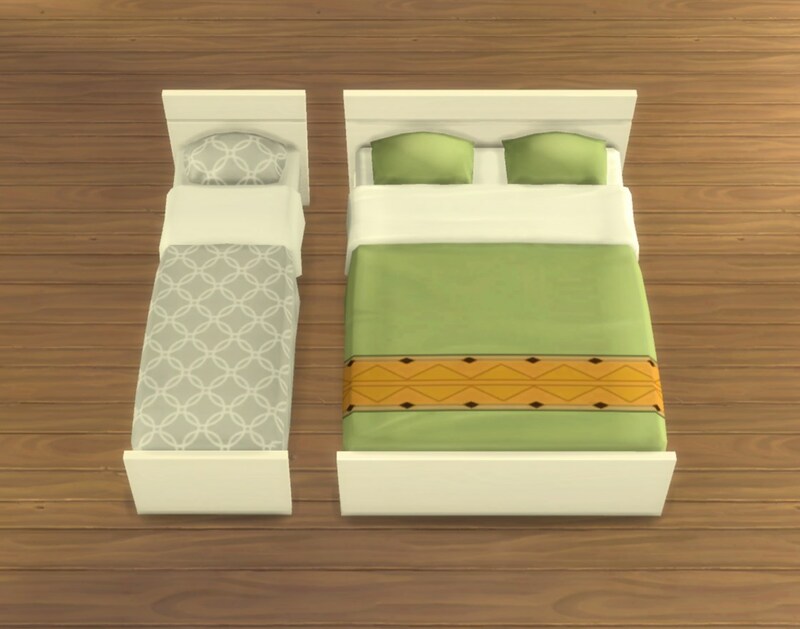 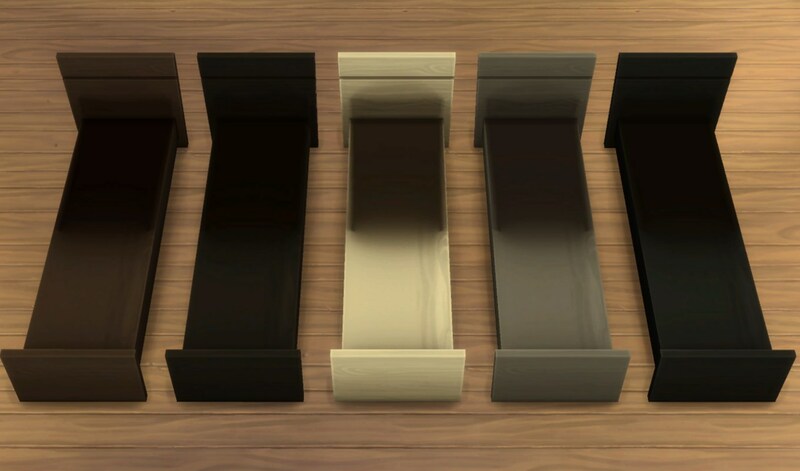 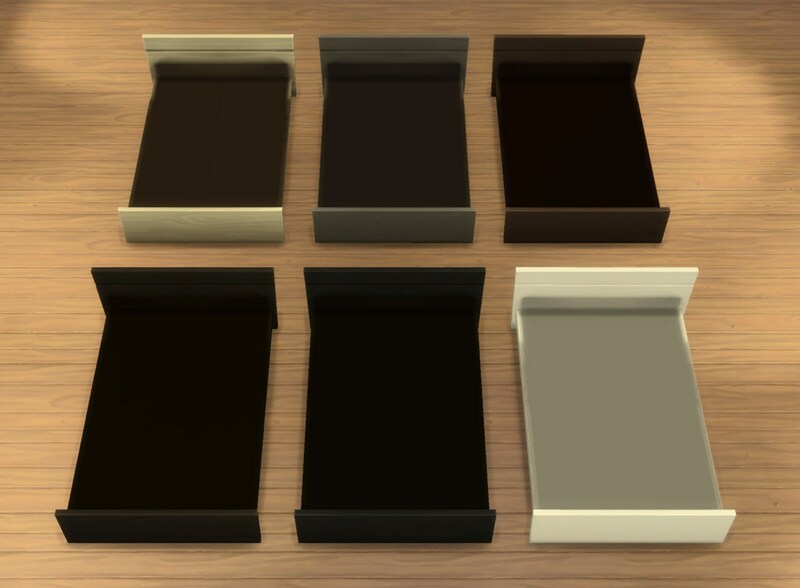 These are texture-referencing emtpified versions of the Maxis “ModPod” and “Teen Dreams” bed frames, plus a custom white colour option for each. 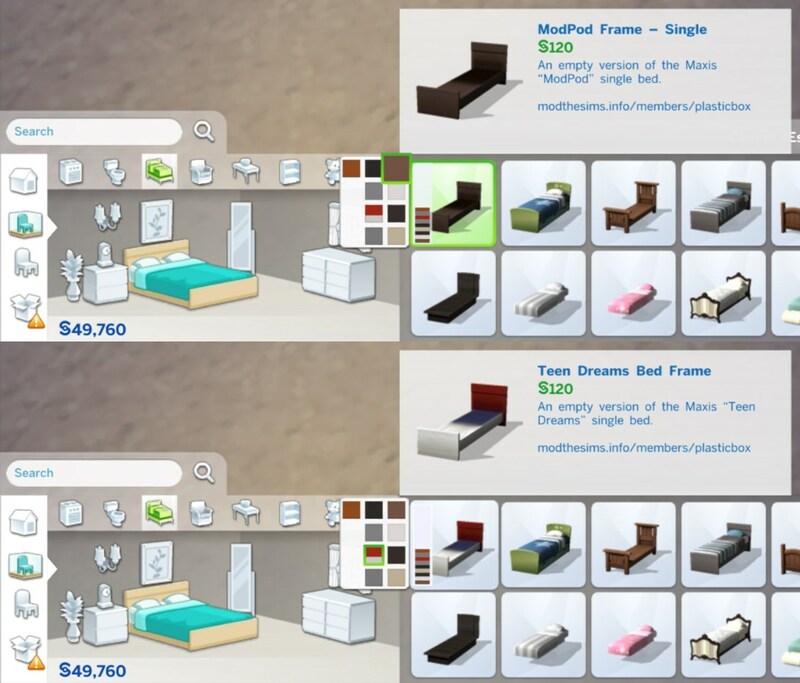 Update 2015-05-06: Please redownload – I had accidentially left a wrong tuning reference in the double frame, which borked teen homework (thanks jeepjeepcat for finding that!) 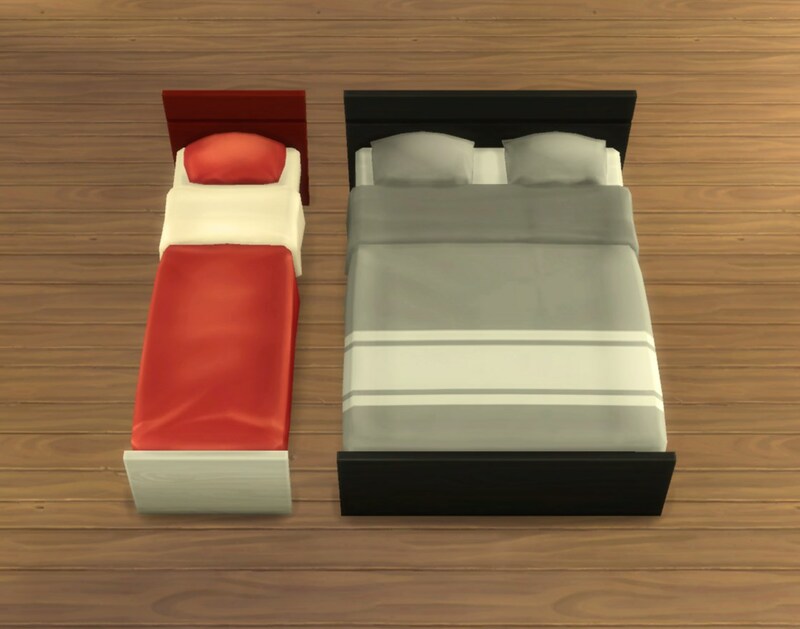 and probably other things too. 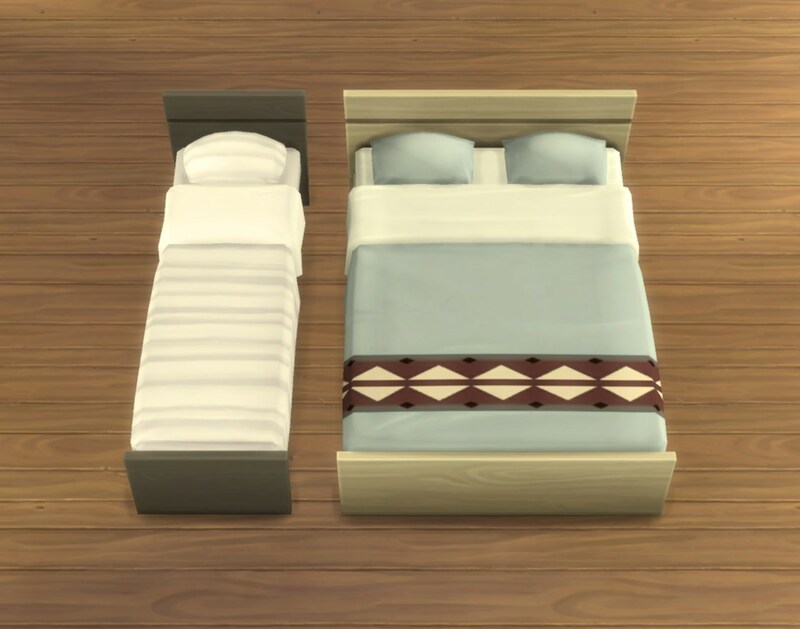 This is fixed in the update. 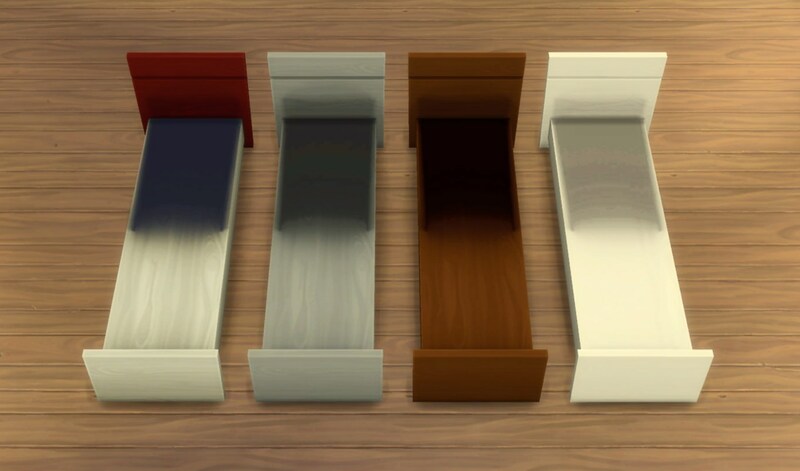 Six colour options for the double bed frame, six + three TeenDreams variants for the single frame. 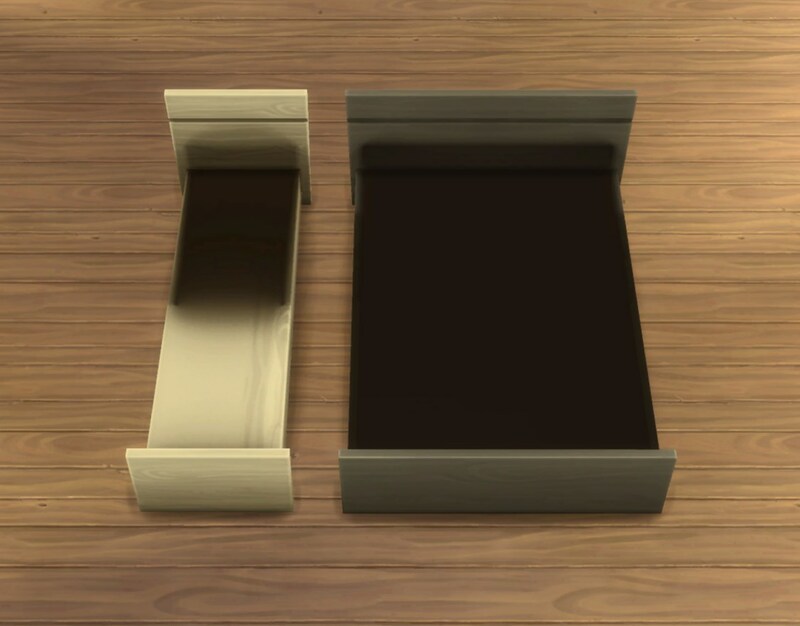 There are two almost-black versions for each one; I left them in although the difference is hardly even noticeable in game – there might be overrides where this is more pronounced. 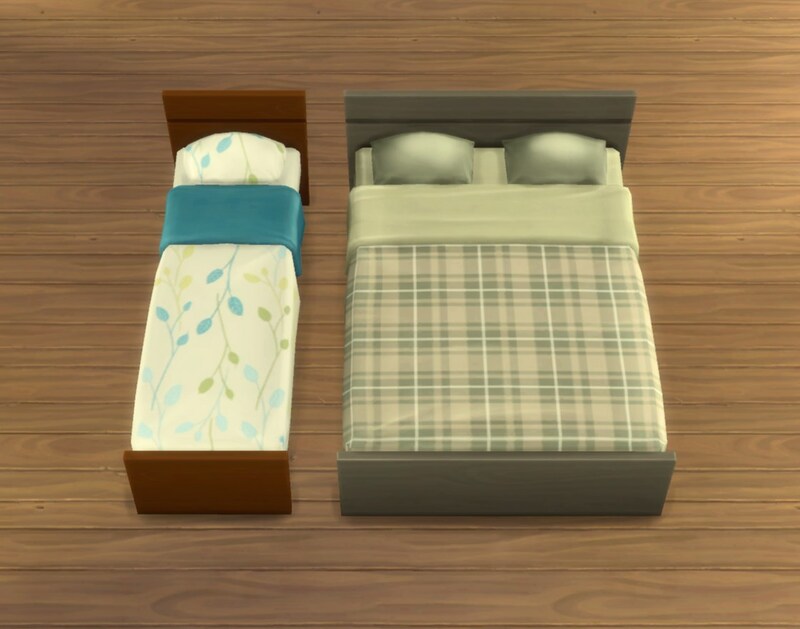 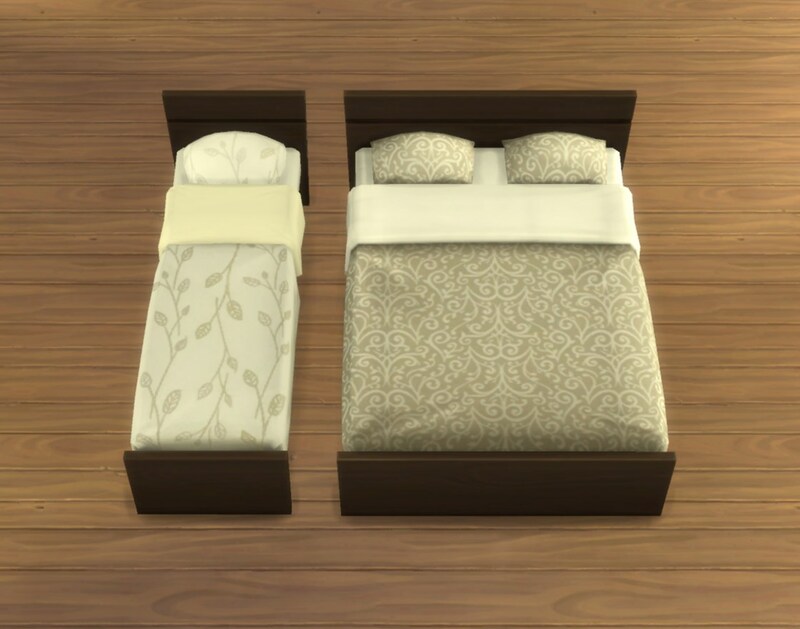 The mattresses on the screenshots are from here (Maxis bedding made available separately, so you can mix and match whichever way you want).